Eight films into his career, Quentin Tarantino’s methods and themes have boiled down to a single purpose: the pursuit of vengeance for the historically oppressed. While the pictures Tarantino completed in the 1990s used his impressive cinematic techniques for no purpose other than enriching the films themselves, the writer-director now employs the nonlinear narratives, extravagant violence and relentless pop-culture sifting for which he’s known in an attempt to obtain retrospective justice on behalf of subjugated groups. Using the apostatised genres of cinema’s past (Grindhouse, Blaxploitation, Spaghetti Westerns), Tarantino has created a series of films where women (Death Proof), Jews (Inglourious Basterds) and now slaves (Django Unchained) bloodily reclaim agency from their oppressors. This evolution in objectives has been accompanied by a shift in public perception: where once Tarantino was overrated, he is now decidedly underrated. By using the same mixture of violence, comedy, pop culture-cribbing and stylised film-making as he has done throughout his career, his motivations are routinely called into question – it doesn’t help that he’s from none of the groups who comprise the vengeful protagonists of his films. 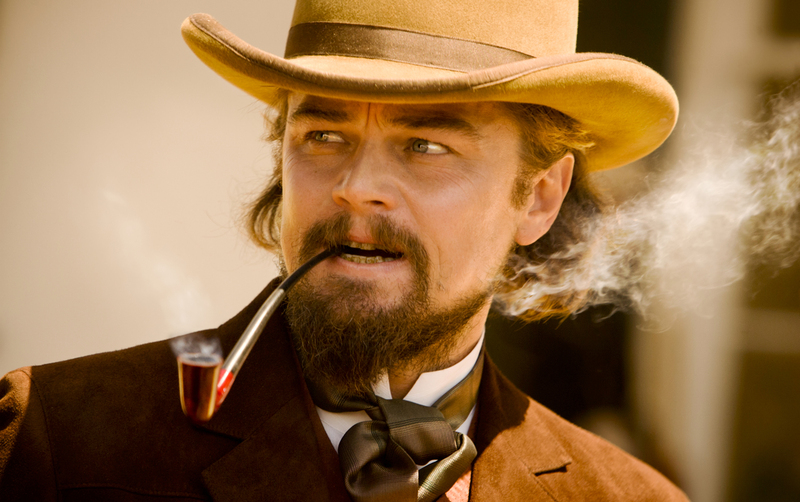 However, a film like Django Unchained demonstrates the value of his approach. In making the Spaghetti Western his template, Tarantino uses the disreputable, historically subversive genre to express a raw, genuine sense of moral outrage at the subject of slavery and the accompanying myths of the antebellum period. When faced with such inhumanity, Tarantino argues that the only appropriate response he can provide is bloody retribution through the power of cinema. As a result, while Django Unchained shares the stylistic tics that run throughout Tarantino’s work, the film it most resembles is his most recent, Inglourious Basterds – a picture, of course, in which a coalition of film projectionists, critics, and actors destroy Hitler in a cinema. Like Inglourious Basterds, Django Unchained provides its eponymous former slave hero (Jamie Foxx) with an endless supply of persecutors to exterminate, exploding in gore as selections from Spaghetti Western soundtracks play in the background. But even though the sight of Django extending brutal vengeance upon slave owners works as wish fulfilment in the same manner – a carthartic release after the many torments the film’s black character endure – the effect is less striking a second time around. There’s a sense that Tarantino isn’t quite challenging himself, content to make a retread of what worked before. Despite being set a century earlier, on a different continent with different characters, Django Unchained feels like it could be a sequel, featuring several long, tense senses of characters undercover, trying to conceal their motives through verbal jousting. Indeed, Christoph Waltz’s dentist/bounty hunter Dr Schulz is essentially a reprise of his Oscar-winning role, except now the villain has become the hero’s sidekick, his ominous politeness used against the antagonists rather than for them. While the relationship between Django and Dr Schulz has its basis in Spaghetti Westerns – a mentor working alongside a protégé – it mainly seems that Waltz was brought back because he was so much fun last time. He’s just as watchable, inevitably, but the character lacks the element of danger that made its predecessor so compelling. Fortunately, this deficit is made up for by Leonardo DiCaprio, who is exceptional in a similar role as the terrifying-yet-genteel Calvin Candie. Other than the sense of familiarity, another factor that provokes weariness is the film’s sheer length. 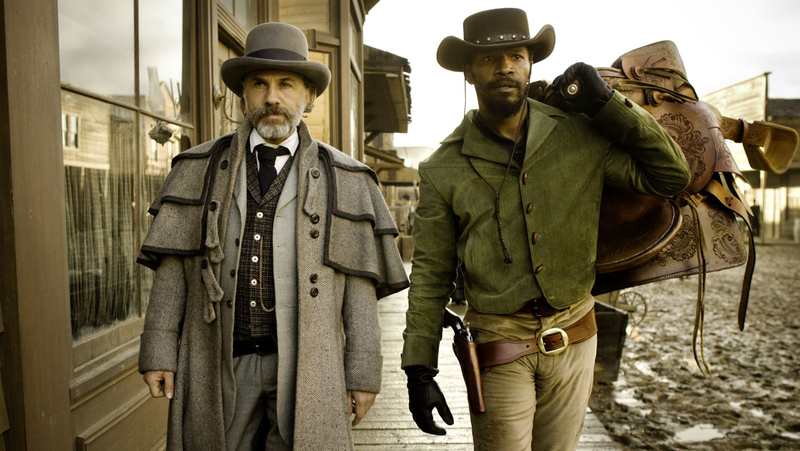 Django Unchained meanders into all sorts of interesting places, but it doesn’t really have enough plot to sustain itself for three hours, and its relatively straightforward narrative often means lengthy waits for scenes you know lie ahead. In particular, the film builds to a natural climax but doesn’t quite finish, and so has to take half an hour to return to what’s essentially the same scene again. But while Django Unchained is imperfect, the film carries itself with such vigour, flair, and righteous fury that you’re willing to forgive it.